M. Jason Fisher of Content Architecture + Interiors provides us with very useful information regarding the current costs of construction for residential projects. When we are initially contacted to discuss a job, we are usually asked very early on what our architectural fees are. That is a very fair question, and to answer we need to have clarification and further details of what kind of home or renovation you are looking to have designed. It is important to go ahead and get this out of the way - we do not base our fees on a price per square foot. The size of a project is only one qualifier when we are calculating our proposal. Other factors include site conditions, complexity, timeline, and structural systems to name a few. These are all necessary components and ones that are easily shared by potential clients. However, one item that is usually more difficult to get a potential client to discuss is their budget for the project. We’ve heard numerous reasons for this, from the client being unsure of what they are willing to spend to not knowing how much they should be ready to pay, to not sharing the actual budget because we will make their project cost that. Two of those are good reasons, and we understand that you might not know how much you want to spend or know how much the home improvement or new construction should cost. We’re going to help with the construction cost budget based on our experience with similar projects. The third reason above, not wanting to share your budget with us, will make things tough and throws up a few red flags that will likely make us unwilling to provide a proposal for our services. 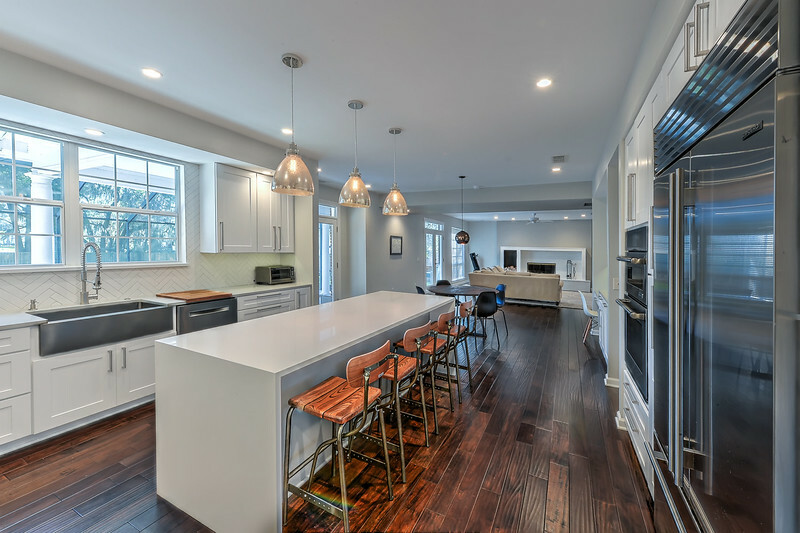 Knowing your budget allows us to provide a better estimation of hours it will take to complete your project, but more importantly helps us find out if it is even feasible for you to be able to have what you want constructed. Your budget does not govern our fees. It does however govern what you will be able to build. It guides how large the home can be, what finishes the home can have on the interior and exterior, the energy efficiency of the home, and how custom the home can be for you. Each of those items and numerous others can be defined as buckets, where the money you are willing to spend can be divided and placed into the corresponding bucket you desire based on the importance of that item. All of these individual buckets will see cash put into them, and depending on the bucket, it might be more than what you were expecting and won’t allow some of the other buckets to get the amount you were hoping to place in them. For instance, a home on the ocean might require a piling foundation system, therefore that bucket will need a larger percentage of money placed in it than a home on better soil further inland. Recently, we’ve discovered that budget numbers for future projects need to be adjusted based on the current prices that we’ve seen based on the construction cost, which has increased from previously proposed designs. Below are a few different price points of construction, using costs per square foot and what you can expect to achieve for that cost. Keep in mind that the numbers below are for the construction budget and not the project budget. If our full-service design package is selected, this is incorporated in the architectural fees. It is not a requirement for the project if you choose the abbreviated design service package, but you may opt to hire an interior designer for furniture, color, and finish selections. This will be a required consultant. We do not perform these services, but the building department will require signed and sealed engineering documents. (in Florida, these are the only signed and sealed documents required, you do not need an Architect to design your home, but clearly we think it’s a good idea for a variety of reasons. Not a required consultant, but a helpful one that can bring their expertise to the table. Under our full-service design services, we will provide broad brush thoughts on the landscape, but we won’t specify plants or groundcover. There are a few forms that the building department requires, including energy calculations, and the fees are typically less than $300. 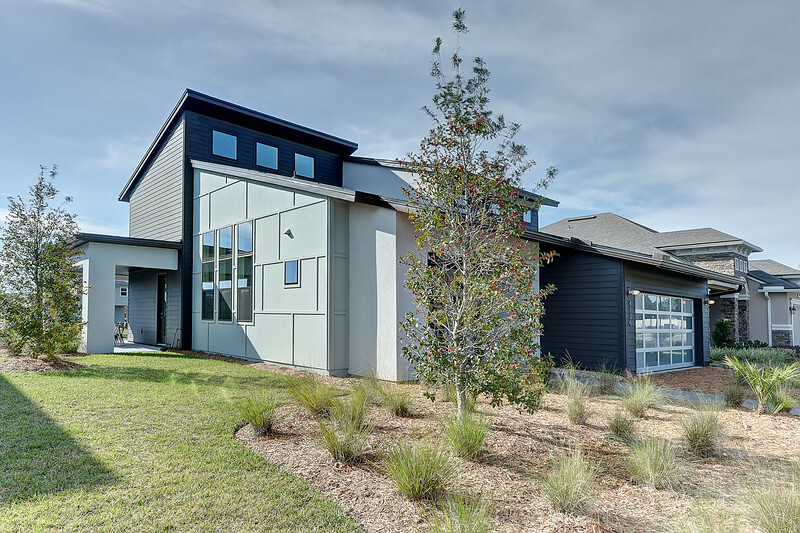 Above that, you can have this consultant perform inspection and evaluation services for different initiatives and certifications, including LEED for Homes and Florida Green Building Coalition (keep in mind those certifications requires their individual set of fees). This includes anything outside of the footprint of the home and the attached covered porches, this means pools, decks, trees, plants, etc.